I studied creative writing both in high school and college but didn’t get around to actually writing seriously until I was my early 30’s. I completed my first novel back in 1978. It was Sci-Fi/Fantasy novel in the tradition of C.S. Lewis and Tolkien with a little Star Wars thrown in. It was with a high profile publisher and did ok. I rewrote it years later. Since then I’ve done some non-fiction books and another novel. Two of these were published by established publishing houses but I saw very little royalties. Now, I do all my books as self-published. 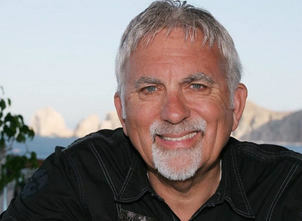 I believe an author has a much greater chance of seeing any revenue from his work when he or she self-publishes. You share in your bio that from quite a young age, "...storytelling is in my blood." Please share your journey from this early interest to becoming a published author. Looking back is there a funny or interesting story you can share? I’ve always loved to tell stories, whether it was around a campfire as a kid or making up a tall-tale to tell my college hippie friends years ago when we were high. But getting them into print has been the big challenge. It’s one thing to make a story but to put it in writing is the big challenge. 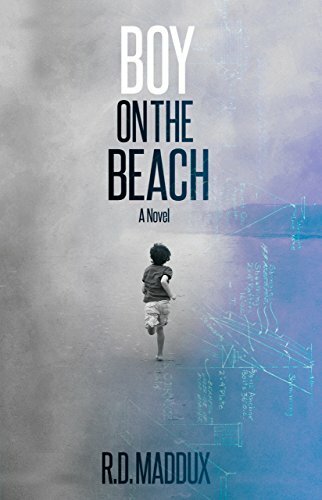 My latest book, Boy On The Beach, has been rumbling around inside of me for years. The idea popped into my head one day and I shared it with a whole bunch of people. That was the easy part. The hard part was getting it on the page. I believe it’s going to make it to the screen either as a movie or a series on Netflix or something like that. I’m working on a screen play right now. So, I first wrote it out as a “treatment”, something you do to pitch it to a studio. That went nowhere so I finally decided to write it as a novel. That’s worked, and I’ve been greatly encouraged by the excellent reviews I’ve gotten so far. So I’m still actively pursuing my dream of getting it on the screen. 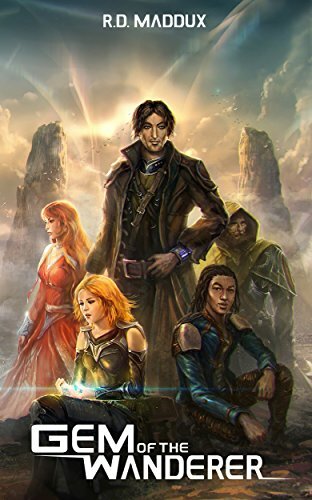 Your previous book was in the sci/fi genre. What led you to switch genres to write a mystery/thriller/suspense? Well, I’ve always loved mystery and suspense novels and movies, and I had this idea brewing in my mind for some time. As I ruminated on it I realized that it would work much better in a contemporary real-world situation with a lot of intrigue. Plus, as a native of California it made a lot of sense setting here in my home state. Over the years I’ve been all over California from top to bottom, so I felt I could make the setting work in a real way. But getting back to the reason I wrote a mystery/thriller/suspense has also been a genre I really enjoy so it was a natural thing just to go for it in this genre. Where did you find the inspiration for your storyline in The Boy on the Beach? For the characters whose lives we follow? As I said in the previous question, I’ve been all over the state of California. I’m a native and my family on my mother’s side came here in the 1840’s. I’ve not only been all over California, but I’ve met a lot of interesting people over the years in some of the most unusual settings (Big Sur hippie commune, lake side camping with beautiful people in the Mt Shasta region and years living in San Diego hanging out with all kinds of fascinating people.) All of these experiences and acquaintances makes for a great back log of knowledge that’s come in handy in writing my novels and other books. I was really impressed with how you handled the 2 parallel story lines - following the main character's difficulties in the present while slowly unfolding events from his past that led to this moment in time through flashbacks. How did you plot this out so that it blended so smoothly? It took a lot of thought and some rewriting to get everything to fall into place in the story line. I realized that the best way of keep the intrigue alive in the book was to slowly unravel the mystery in a way that would keep the reader guessing. I like the use of flashbacks in books. I did it in my Sci-Fi/Fantasy novel, Gem Of The Wanderer. I know some readers and writers don’t like it but it’s an approach that’s used a lot in novels and movies and I’ve always enjoyed it personally. So, like I said earlier, it took a lot of thought and I actually moved things around after I’d finished them because I realized it would make the story unfold in a more interesting way. As an author - what is easiest or most enjoyable about the writing process? What feels like a chore or is the hardest? As an author, I love it when an idea gets ignited in me. I’ve often found that sweet spot where you can’t get the thoughts out of your head and onto the page fast enough. It’s a great feeling. That’s what I enjoy most about writing. What feels like a chore is getting started. On a typical day it’s the first hour that’s the hardest but I’ve noticed that once I get past that 60-minute point, the juices have started to flow and everything seems to be downhill after that. How does the writing process work for you? Do you schedule a time every day or work madly when inspiration hits or? How much time is spent on research outside of your writing time? I usually set a goal of completing a book by a certain date. I don’t write full time but being semi-retired I do have open days. So, when I’m in the middle of a project, I try to set aside a few days a week and make sure I have at least 6 to 8 hours of uninterrupted time to work on that project. As far as research, it depends on the book. 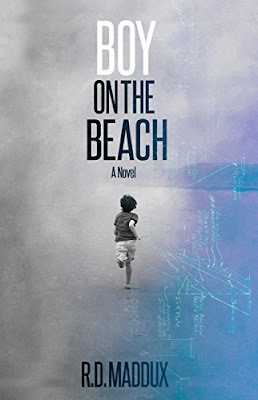 My novels have taken less time because a lot of it comes from my imagination or my experiences so I’m just recalling things but I when I wrote Boy On The Beach, I did do a lot of internet searching to make sure I got some of the details right. When it comes to my non-fiction writing, I’ve done a lot of research in other books and online. When not writing, what type of books do you like to read? I enjoy reading all kinds of books. A good novel is a delight if I’m on vacation or have some extra time on my hands. But mostly I like non-fiction history, biography and contemporary issue books. Any new books in the conceptual, planning or writing stages you can share with us? Like I said earlier I’m working on a screen play of my latest novel, Boy On The Beach, and also thinking about a series of detective type novels set in San Diego that involve issues on both sides of the border here. I’ve got a couple of intriguing scenarios that are quite fascinating. I hope to get to them soon.